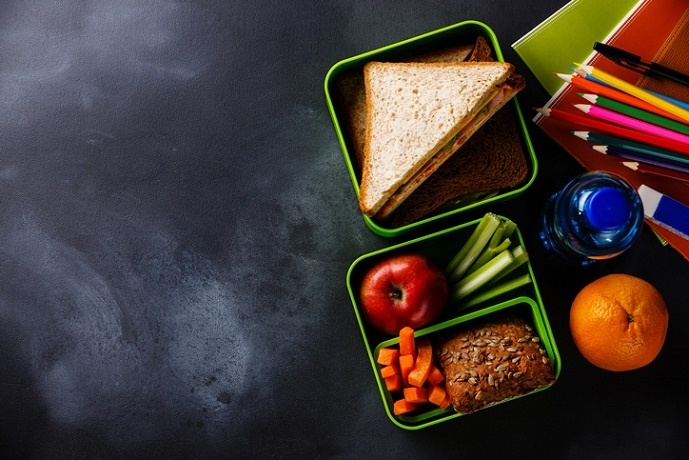 It's that time of the year again, here are some healthy lunchbox ideas sans cold meats to get you into the swing of things as the kids head back to school. The Listeriosis outbreak in 2018 had the country in a panic, and some parents may still be wary of using cold meats when making lunchboxes. 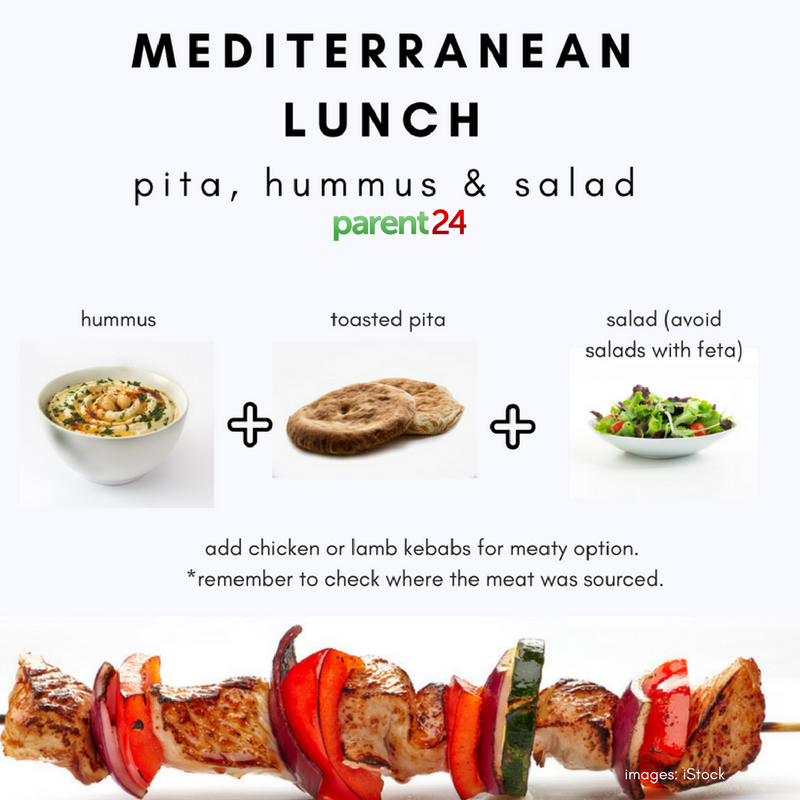 Since cold cuts are usually the easiest options, you may be stuck on what foods to turn to when packing lunch. But fear not: there are still many alternatives, healthy ones, for your child's packed lunch. 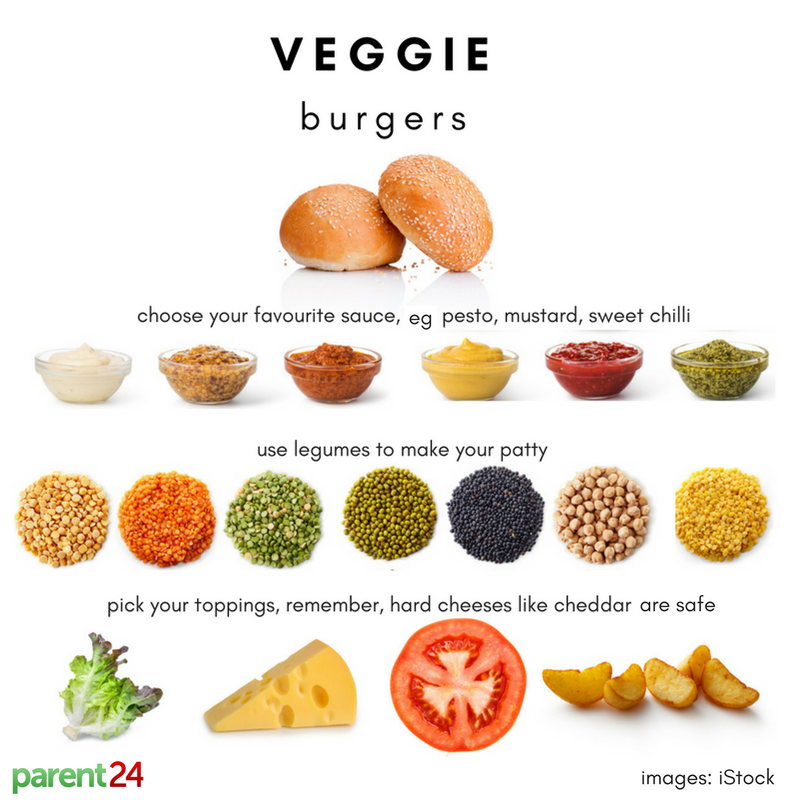 Our lunchbox ideas are meant to be flexible, so please use these as guidelines as only you would know your child's likes and dislikes. Hummus is made from chickpeas which is a good source of fibre, iron, calcium, magnesium, zinc and vitamis K. Fibre helps to combat constipation as it keeps the body regular. Iron, calcium, magnesium and zince help children grow and maintain good bone health. You may think that the lunch will not be filling, but chickpeas are able to increase the feeling of being full. This helps reduce appetite and lowers calorie intake. They slowly release energy into the body (low GI), keeping your child energic the whole day. They also promote healthy skin and hair. The leafy greens in the salad are a good source of folic acid. The meaty kebab is a source of protein. What are your go-to lunch box ideas? Tell us and we may publish your tips and tricks. 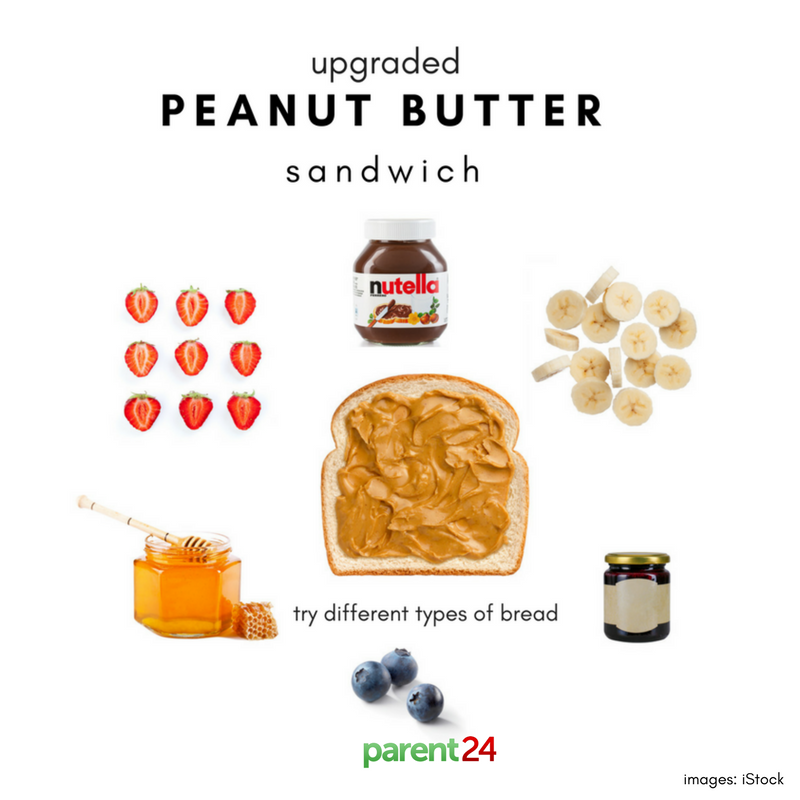 Peanut butter and jam is a lunchbox classic. If your child finds it too boring or not fancy enough for their lunchbox, try elevating the classic sandwich. Use different types of bread like rye, sourdough or brioche. Honey is a healthier alternative to fruit jams and syrup without compromising on the sweet flavour your children love. Try using fresh fruit (make sure you've thoroughly washed them) instead of jam or try different jams such as fig, cranberry or cherry. For an afterschool treat, try a chocolate spread and peanut butter verision. 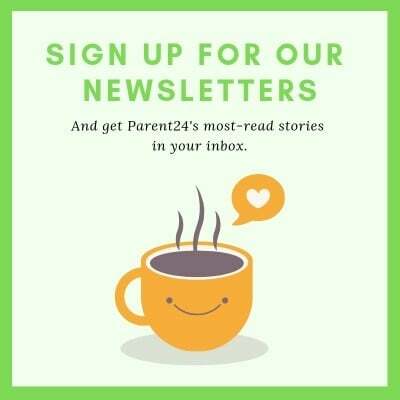 Also read: WATCH: Delicious & nutritious lunchboxes for the kids for every day of the week! Microwave the legumes for a 1 minute or until soft. Add the salt, pepper, garlic, diced onion, herbs and bread crumbs. Mash everything in the bowl until you have a chunky mixture. Do not mash until smooth. Using wet hands, form patties with the chunky mixture and place onto a lightly greased parchment paper-lined sheet pan. Bake in the oven for 30 minutes or until the patties have browned. Assemble burger! Soft cheeses may be ruled out, but hard cheeses are just as good. Use cheese such as cheddar, gouda, emmental, parmesan and edam in lunchbox sandwiches to avoid infection. 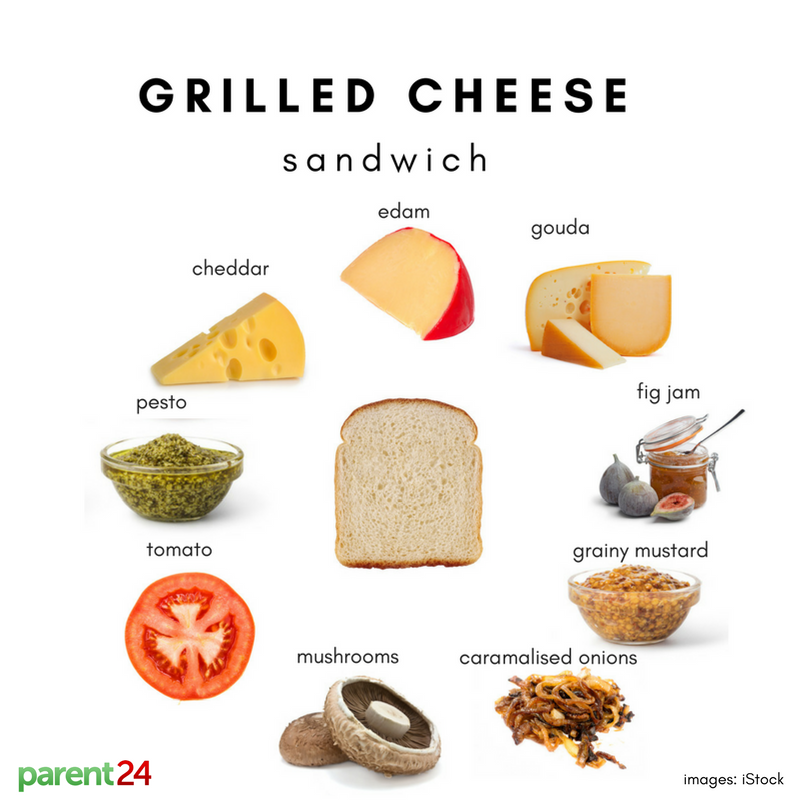 Just like the peanut butter sandwich, the grilled cheese sandwich can be elevated and built according to your child's liking. Cheese is a good source of calcium that helps build strong bones and helps keep your child sharp and energised. You can stick to the classic or add tomato, onions, mushrooms or even more than one cheese in your sandwich. Place under the grill and it's ready when both sides are toasted and the cheese has melted. We have an easy way of making pizza at home. Use a tortilla wrap as the base of your pizza. Use store-bought pasta sauce as your sauce and hard cheese instead of mozarella. 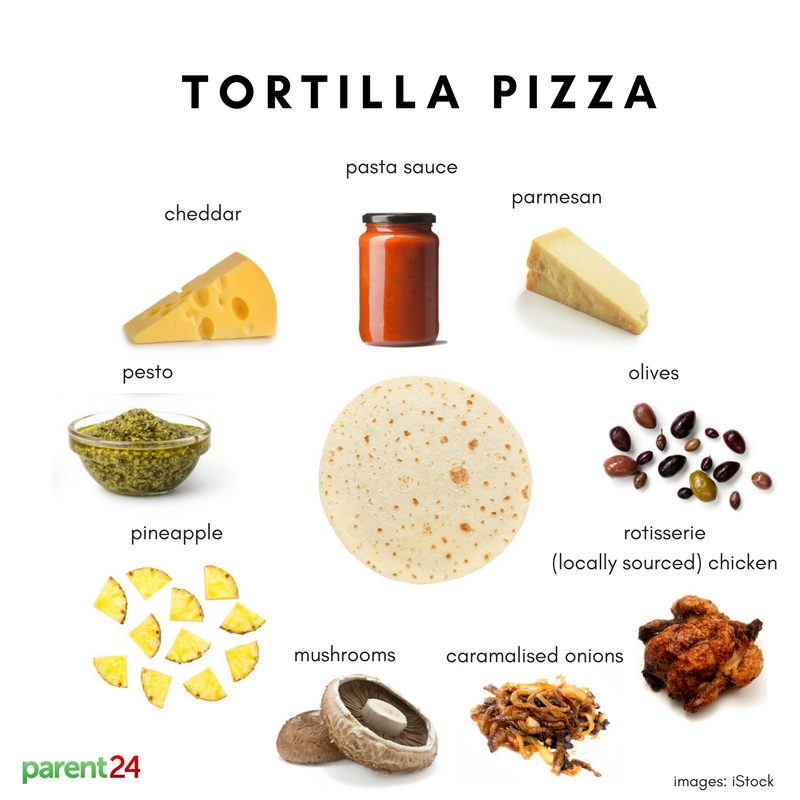 You can ask your children to help assemble the pizza and choose their own toppings. Place under the grill until the cheese has melted and the tortilla wrap is slightly cripsy around the edges. Cut into triangles and place in lunchboxes.